Halloween is right around the corner, so naturally now is a good time to find those perfect cat costumes for your pet. This is also a good time to go over safety tips. Halloween is a very fun time of year but can also be very dangerous if you don’t take the proper precautions. This year’s popular costumes feature several hot items especially movie characters. But there are always some classics that make the list as well. Costumes are only recommended for pets that really enjoy them. Please don’t force a costume on your pet if it is not something they like. This is always a favorite– especially if your cat has that loin colored fur. The loin mane is available in several different sizes. 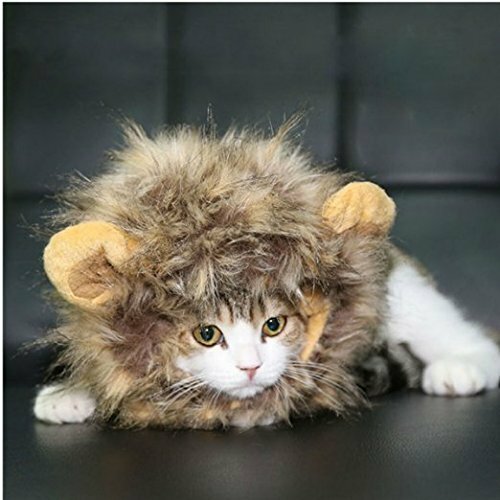 It is made especially with comfort in mind to help your cat want to keep this mane on longer. It is coming! 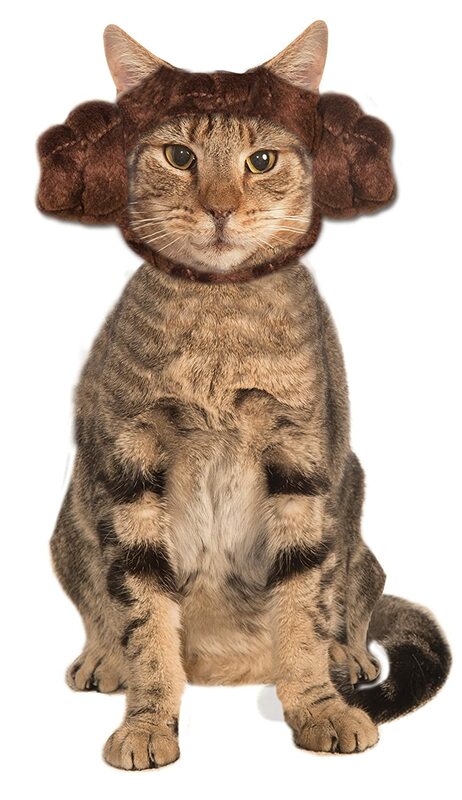 Disney’s new Star Wars movies are coming on this December so it’s no surprise that these Star Wars Cat costumes are making a comeback this year. This is an adorable set. You are given the option to buy just the hair or buy the outfit. I personally think you can’t have one without the other— it’s a perfect assembly! Ahoy, Matey!! Don’t let this costume pass you by! This is an adorable sailor cat costume. 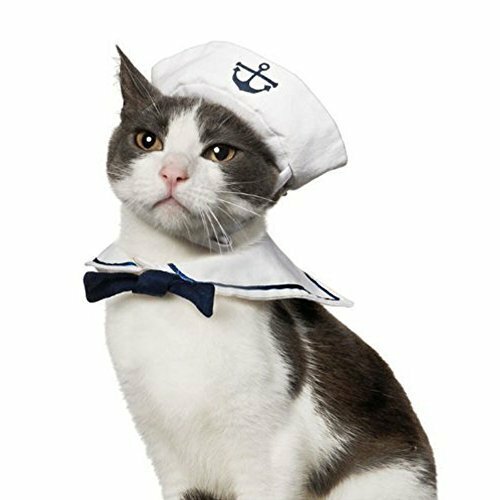 If you are one that lives by the ocean, lake, or simply just loves all things nautical then this is the perfect costume for your cat! Ps. This costume can also double as a cat show piece! When is Superman not a popular costume! All super hero costumes are popular these days thanks to all the fabulous movie reboots. 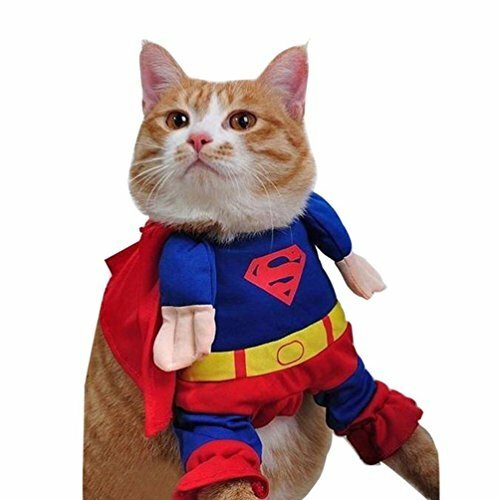 If your cat is your hero and/or likes to think he is a super hero this may be the costume you are needing to get. 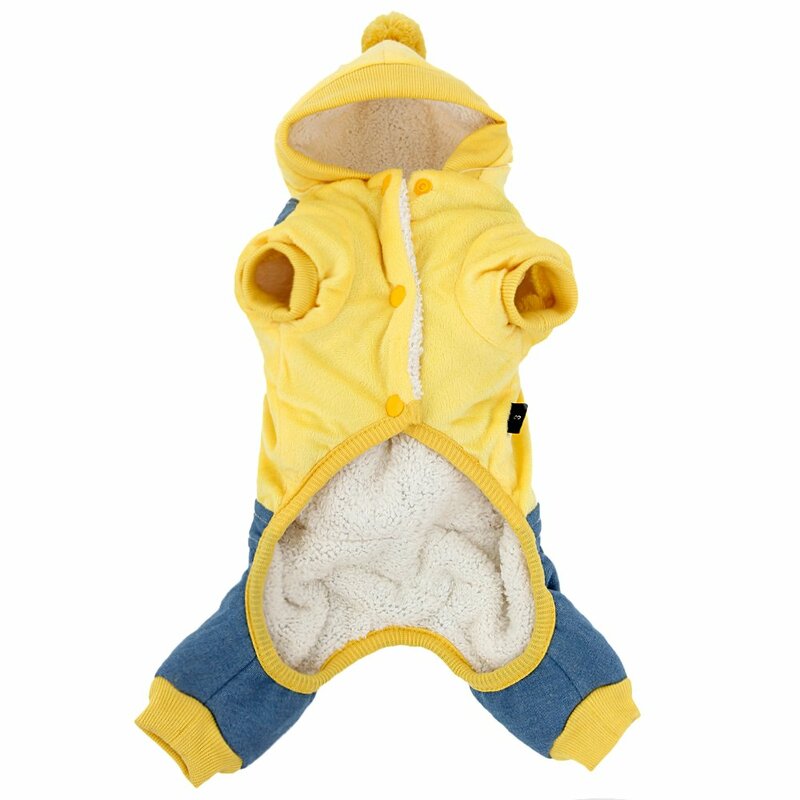 Available in several different sizes perfect for your pet. Here’s another classic costume. While peacocks may not be the most popular or costumes (and maybe that’s what you want to go for) you can’t deny the beauty of this well put together costume. 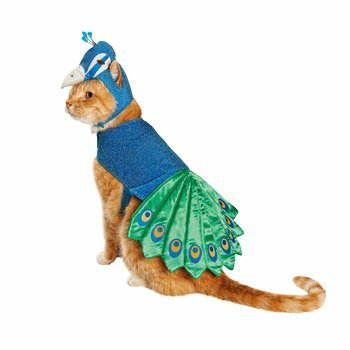 This is a great costume for those cats that consider themselves elegant above the rest. Always make sure your pet is inside on Halloween. With so many trick or treaters out and about it not only scares your pet, but them as well. Also, along with trick or treaters comes many cars. I can’t think of a worse way to remember the holiday then to lose your beloved pet in an unfortunate way. Once you have your cat inside, put them in a comfortable room away from strangers while trick or treating is going on. A lot of noise with the doorbell ringing and stranger smells from the neighbor may cause undue stress and anxiety for your pet. Note: Black cat owners— you especially should bring your cat inside for about a week before and after Halloween. Black cats are a symbol for the holiday and can only lead to trouble for those looking for it. Especially chocolate! Keep all candy and other sweets out of reach so that your lovable pet doesn’t get a hold of it. Don’t spend Halloween night in the vet’s office! Put those treats up! If you do desire to give your pet some treats the best thing to do is make your own! Check out these tasty treat for your cat! Also, these would be great to hand out to other dog or cat trick or treaters. Speaking of keeping candy out of reach— make sure that pumpkins and corn is also out of reach as well. Curious cats love to try new things to eat. Don’t let your display get ruined and you find yourself dealing with a sick cat. This is good to keep in mind on every night not just Halloween. Always have a well lit area for trick or treaters. If you plan to go out with your pet make sure you bring a bright flashlight and it probably wouldn’t hurt to put a glow stick around your pet’s collar safety. Above anything else— make sure your pet is properly ID’d and registered. There is a lot of activity going on this time of year so having the proper identification will go a long way if your cat accidentally gets out. As always have the happiest and safest of Halloweens and enjoy your festive weekend!